What does all these interior images have in common? 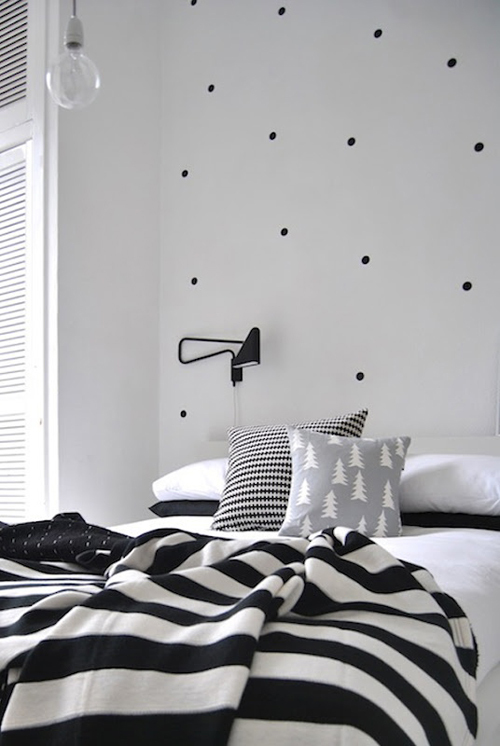 Black & white dots, which I have been seeing a lot of lately. The lamps in the top image are easy to make yourself. 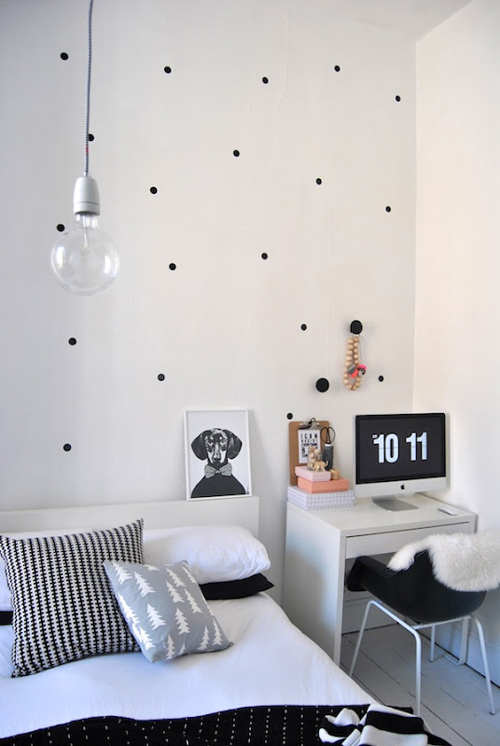 Just buy plain rice paper lamps and draw some black dots on the lamps with a black marker. The first photo worries me – what happens when they hatch? Wonderful Pictures. Love them all. Great inspirations. I also like the way the paper lamps are clustered together. It makes them look more like a lighting fixture than typical paper lamps. Love this idea, so cool!! 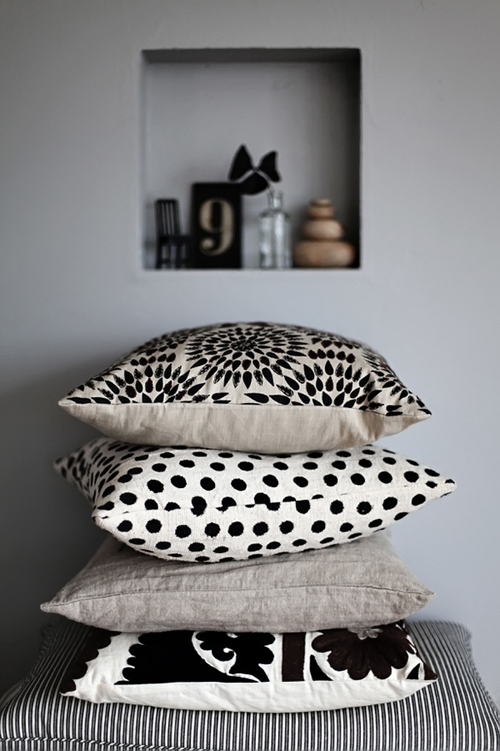 Pingback: Connect the dots | Husligheter – inredning och design som blogg. Dots always makes you happy! 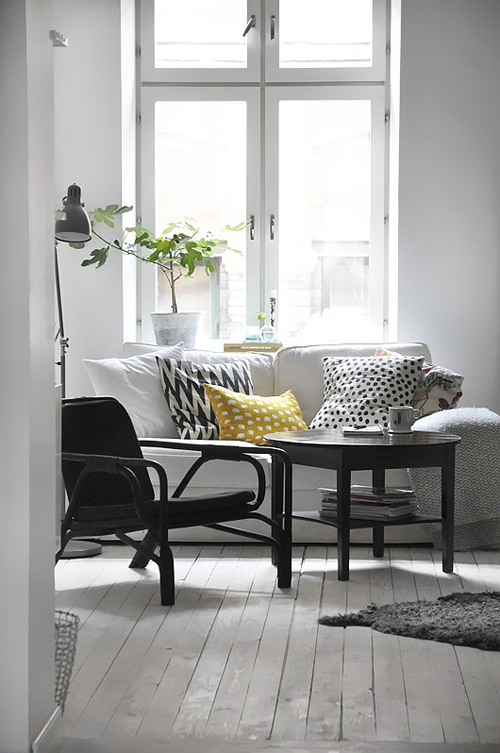 Also love the chairs on the first picture, know where they are from?